It's the final sale of the Generation 2 skin line! 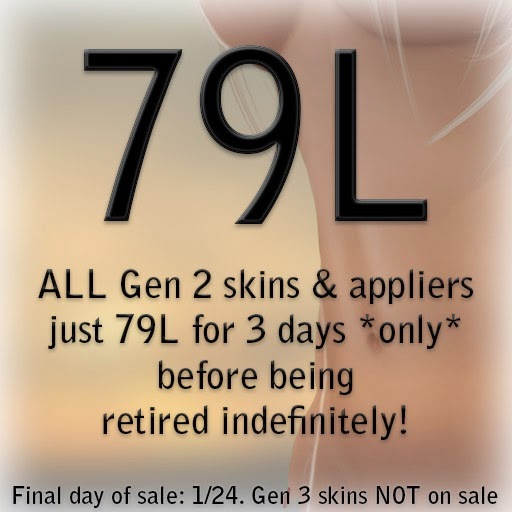 Find ALL Gen 2 skins for just 79L for 3 days ONLY. After which they will be retired indefinitely. **IMPORTANT** All Generation 3 skins are marked as such and feature a common ad theme. They are NOT on sale.